During the fall, you can find a variety of apples at your local grocery store. 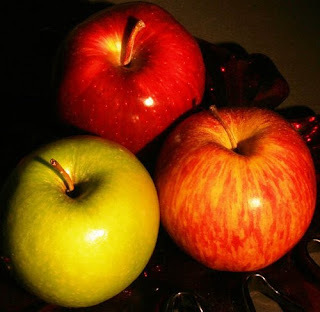 Buy a selection of apples in different sizes, colors and varieties, and have a taste test. It's perfect for teaching your child about color, size and taste - plus it's a healthy, nutritious snack!